Over the next month, we will be bringing forward the concept of disintermediation, and specifically the companies and market forces likely to lead disintermediation within trucking (some are already actively doing it). I should state up front, this and future posts are based on my own personal opinion. However, these opinions are grounded in conversations with hundreds of trucking executives, and observations of their operational strategies to stay firmly rooted in the North American supply chain. The term disintermediation gets used frequently these days, perhaps too frequently. With that being stated, there are companies and market forces that all motor carriers should be paying attention to. There are credible threats to the traditional motor carrier, both small, medium and large. Through these articles, we hope to identify the ones that are real. There is no in-between for Amazon. If you haven’t already done so, please take some time to read “The Everything Store” by Brad Stone. This book gives amazing insight into Jeff Bezos and the culture and strategy of Amazon. If you’re serious about understanding Amazon and it’s logistics strategy for the future, this book is required reading. It gives you a foundation to understand that Amazon’s operational confidence is endless. They think they can do things better than every partner and competitor. Combined with the amount of capital they have access to, they have the potential to change the world of logistics, perhaps even turning their logistics division into a profit center / service offering. In recent years, Amazon has started setting the stage for their future distribution strategy and service. Beyond acquiring aircraft and thousands of trailers, they made a splash last year when they purchased 20,000 Sprinter vans for local Prime deliveries. The people filling these vans will largely be Independent Contractor drivers (Delivery Service Partner), or employee drivers working for those Independent Contractors. The opportunities available for these ‘DSPs’ are detailed here (note: some great recruiting content that should be considered for your own business). Unfortunately, we don’t have data on how many of those vans are now filled, however, even if they were able to fill 50% of them in 12 months, the likely next step is Class 8 and replacing some of their small and mid-sized partner carriers. This is a massive capacity threat to incumbent motor carriers. 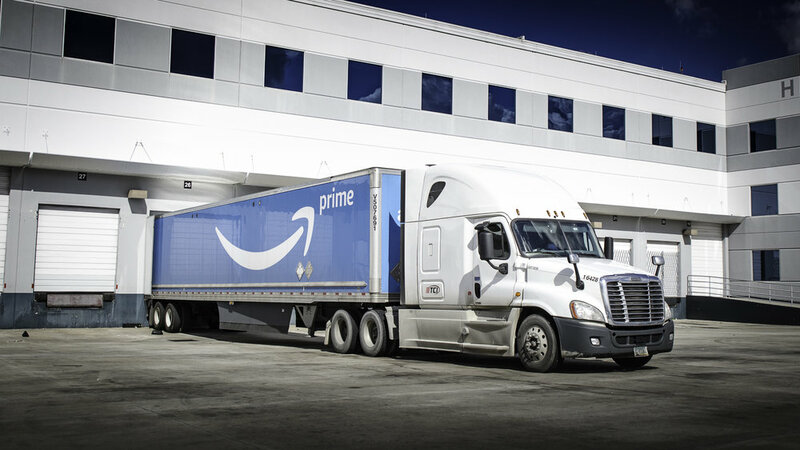 If Amazon goes all in on in-house capacity, this will have a ripple effect on last mile, LTL and truckload operators. If you’re a motor carrier, how do you respond to this threat? Ideally, you should do a deep audit of the freight you’re hauling right now, and determine how much of it is directly or indirectly part of the Amazon supply chain. Then identify the freight that is most likely to be removed sooner rather than later from your current business – and figure out ways to proactively replace in your network. In the long term, unfortunately, it’s a wait and see. On a positive note, Amazon will be actively defending the IC business model in states across the country, using their existing lobbying platform, and thousands of lawyers. At least in the short term, this additional level of effort and resources applied to protecting the IC model will be a positive outcome for carriers using the model (at least for now).